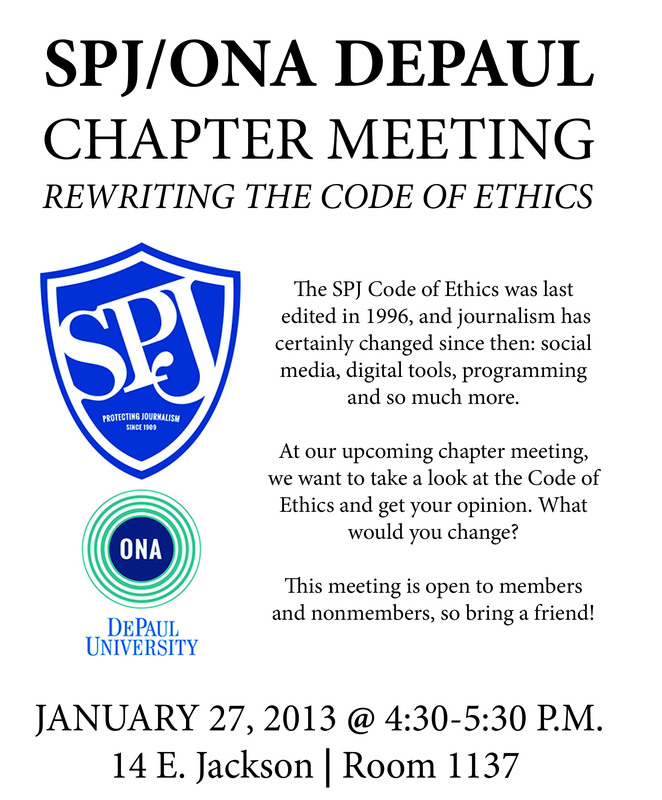 All student members, nonmembers, alums and DePaul University College of Communication faculty are welcome to attend. Have suggestions for changes to the code? Tweet them to @spjonadepaul and use the #spjcode hashtag.